Vijayawada is a city located on the banks of River Krishna in the southeastern state of India, Andhra Pradesh. It is the second largest city by population in the state. It is one of the rapidly growing cities in the country. The city’s major economy depends on construction, education, entertainment, hospitality, transport, and entertainment. The city trades and exports agricultural and industrial goods. Some of the famous places to see in Vijayawada are Kanaka Durga temple, Undavali Caves, Prakasam Barrage, Bhavani Island and more. The concept of a personal loan is rapidly picking up in Vijayawada. People are now fulfilling their wishes by taking an instant loan. Quick loan app offers convenient loan options. The entire process of application is carried out on the app. The major benefit of applying for a personal loan on the app is the paperless transaction. 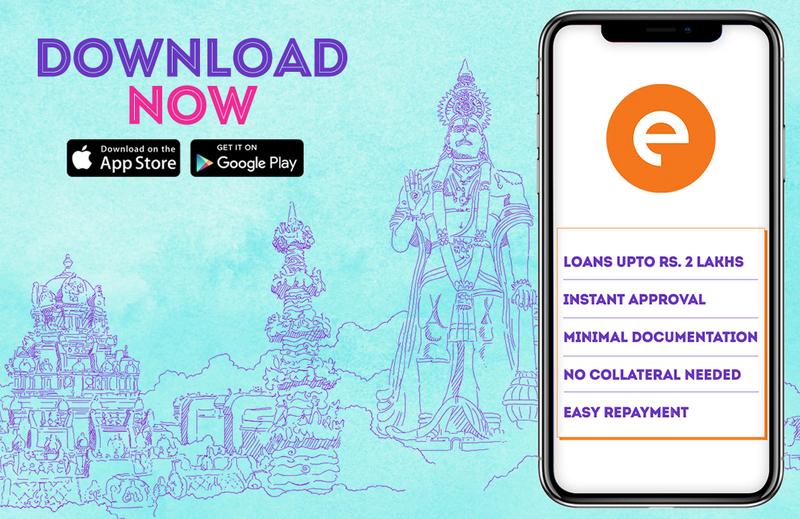 All the documents can be submitted on the quick loan app itself, one doesn’t have to visit the physical branch or bank. Such loans are unsecured loans, which means you can avail a loan without any asset ownership showcase. Personal loan apps are available online 24/7, that means there is no time limit to apply for a loan. One can take a loan from quick loan app for any personal reasons such as medical emergency, travel expenses, home repair cost, debt consolidation, balance transfer and so on. The procedure for applying for a personal loan is quite a simple task. One can apply for the loan through quick loan app like CASHe. You have to download the app from google play store or apple app store on your smartphone and create your profile. One needs to add the loan amount and the duration of the personal loan. The loan amount normally ranges from Rs. 10,000 to Rs. 1 or 2 lakhs. The next step involves submitting all the required documents. It takes a couple of minutes for the quick loan app to approve or disapprove your loan request. One can check their loan status on the app itself. Once your personal loan is approved the money is disbursed in your personal savings account within a few minutes. The documents required are quite simple and accessible by most of the users. To avail a personal loan one must have their identity proof documents like Aadhar card, Pan Card, Driving license or Passport. As the residential address proof, the electricity bill or maintenance bill or Passport will be valid. One has to be a salaried employee for being eligible for a personal loan in Vijayawada. The latest salary slips will be required from your current employer. The quick loan app will also ask for bank statements for the last six months. The latest photo of the user will also be required as a photographer proof. The process of personal loan applications is very user-friendly with quick app loan like CASHe.